With the amount of information in the digital universe doubling every two years, big data governance issues will continue to inflate. This backdrop calls for organizations to ramp up efforts to establish a broad data governance program that formulates, monitors and enforces policies related to big data. 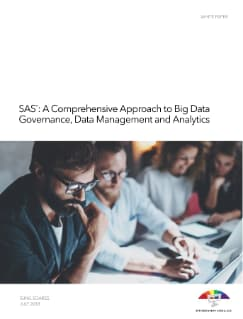 Find out how a comprehensive platform from SAS supports multiple facets of big data governance, management and analytics in this white paper by Sunil Soares of Information Asset.